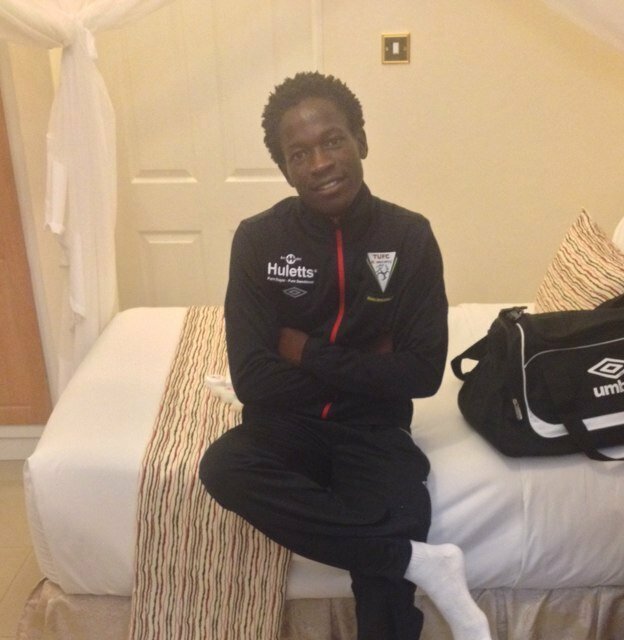 Praise Tonha is a Zimbabwean footballer who plays for Triangle Football Club in the Zimbabwe Premier Soccer League. He also plays for the Zimbabwe National Soccer Team. Praise Tonha was born on the 29th of March in 1995. He attended Rakodzi High School for his secondary education. Tonha started playing for the young warriors in 2013. He participated in various international tournaments with the team. He played for Monomotapa Football Club before moving on join Triangle Football Club. Tonha has also been called to play for the Zimbabwe National Soccer Team, the under 20 team and the under 23 side on several occasions. ↑ 1.0 1.1 , About,Facebook, retrieved:30 Jun 2015"
↑ H. Mhara, Tonha out of Cosafa Under-20 championships,Southern Eye,retrieved:30 Jun 2015"
Please visit the following to contribute to the profile of Praise Tonha.